Music enthusiasts who also play some instrument, will definitely be knowing that Major chords sound happy while Minor chords sound sad. While some may debate this fact (as every ear is different and perceives sounds and their emotional element uniquely or some may argue that happiness and sadness is just our conditioning to sounds), this is a pretty universally accepted fact. Now the problem arises when you have a major chord in your composition which fits in well but brings in the happy element, which might not be the emotion that you want to evoke. Is there some trick to not change the whole progression but still keep that happy element away from your composition? Yes there is. And it’s pretty damn simple. 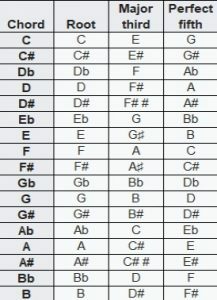 But before we get into that, let’s do a quick little revision of Music Theory. What? You don’t want to get into music theory and just want a quick fix. Well as much as I don’t recommend that approach, that shortcut is also there for you at the end of this article. But I would still advice you to read through and understand the ‘whys’ of everything. The simple concept of certain chords sounding happier than others can be understood by a little peak at their construction. 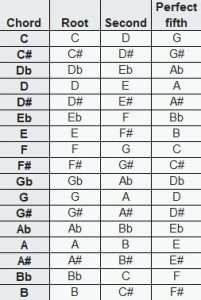 How are Major chords constructed? A major chord is simply a triad (3 notes) that can be broken down into the root note, a major third above the root not and a perfect fifth above the root note (or simply a minor third above the major third). For example, a C major chord has the root note (C), the major third (E) and the perfect fifth (G). 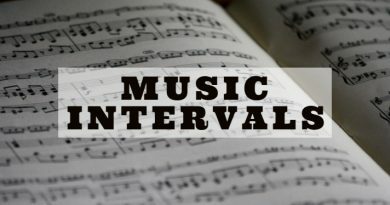 For those not well versed with theory, major thirds, minor thirds and perfect fifths are names of different intervals which can be explained as the difference in pitch between two sounds (or the distance between notes). For more information on intervals, check out this article. 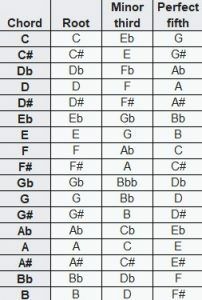 How are Minor chords constructed? In a minor chord however, the triad consists of the root note, a minor third above the root note and a perfect fifth above the root note (or simply a major third above the minor third). The same 3 notes for a C minor chord would be the root note (C), the minor third (Eb) and the perfect fifth (G). To put it even more simply, 2 out of the 3 notes in a major and minor chord are the same (root and perfect fifth) and only the leftover note (and its relation to the other 2 notes) is bringing in that difference in character. So without getting into all the complexities of sound frequencies, we can safely say that the only reason why major chords sound happy while minor sound sad is due to the presence of the corresponding ‘third’ note (which is a major third in major chords and a minor third in minors). Hope you are all with me on this till now? If not, let me know in the comments and I’ll explain more. If yes, then continue reading. 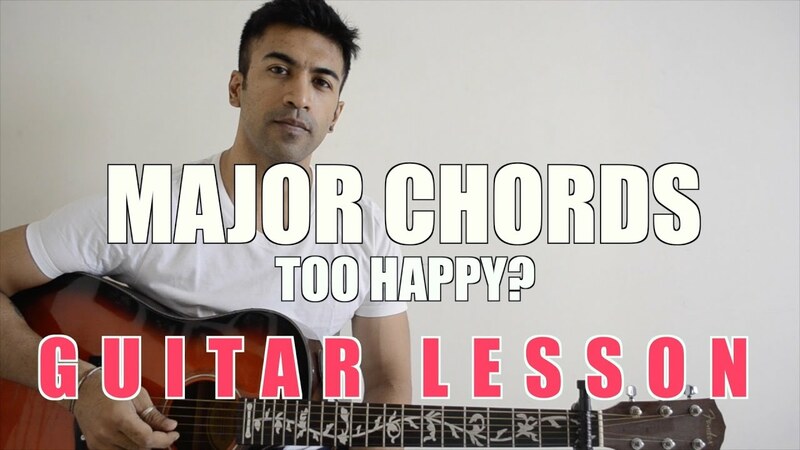 The simple solution to maintaining some elements of the major chord while removing that ‘Happy’ sound is therefore by removing that element responsible for the same. Alright! So we remove the ‘E’ from a C major. But that makes it a C5 chord (since it now only has the root and perfect fifth). But that’s not the full trick. The full trick is to replace the major third with another note which can be either a major second or the perfect fourth. Once again, these are intervals so don’t get bogged down if you’re not understanding and refer to the other article to get more information on this. The presence of the major second or the perfect fourth will give a newer character to the resulting chord. And also a new name. 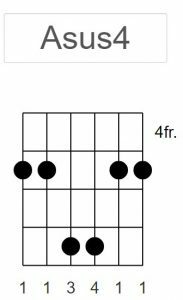 Presenting the Suspended chord or the suspended 2nd and suspended 4th chords (depending on which note you use) or sus2 and sus4 as they are popularly called. 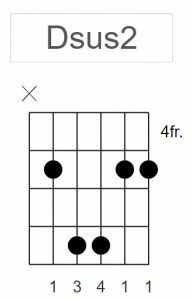 However, for the interest of this exercise, I recommend using the suspended 2nd chord versus the suspended 4th. 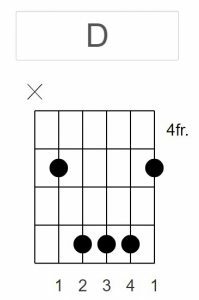 That is a reason better left for some other article but let’s just say that the sus2 chord will be the easiest to find and play. In a nutshell, the trick to using a major chord without its happy element is to use the corresponding sus2 chord instead. Now how do we play the sus2 chord? Simple. Do the following. Step 1: Find out root note for the major chord on the 5th string. Step 2: Put a barre on the 5th fret (with your index finger) and use your ring and little finger to press the notes 2 frets ahead of the root note on the 4th and 3rd string respectively. So for a Dsus2, you will use your ring and little finger to press the 7th fret (5 for root note + 2 notes ahead) on the 4th and 3rd string respectively. For music theory enthusiasts, it will be fun to know that the sus2 chord is very similar to the sus4 chord of the corresponding 5th note of the original root. e.g. 5th note of D is an A (D E F# G A B C#). And so the Dsus2 is very similar to the Asus4. 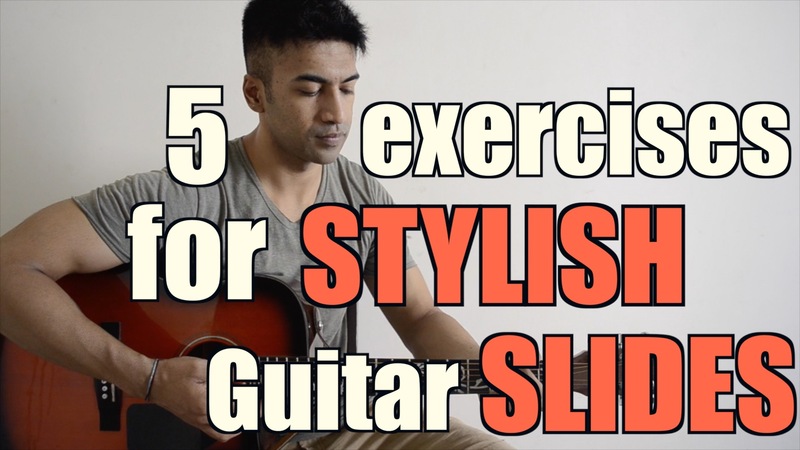 Therefore this trick can also be called using the sus4 of the 5th (like I have explained in this video) or you can just stick to using the sus2 of the original major to keep it easy. Try this neat little trick and let me know in the comments, how you liked it.